What began as a traffic stop in Lakewood last year evolved into what would become the largest drug bust in Ocean County history, leading investigators into a tangled web of drug dealers, suppliers and offshore accounts that stretched across the region. Ocean County Prosecutor Joseph Coronato on Friday, flanked by state troopers, DEA agents and police officers from towns as large as Brick and Toms River to those as small as Ship Bottom, announced the slew of raids and arrests that resulted in the seizure of 90,000 doses of heroin, 19-pounds of cocaine, $848,481 in currency, cars and SUVs worth $713,620 and 20 firearms. The investigation, which began in April 2017, led investigators to seven counties, two states, offshore bank accounts, and even involved the National Guard’s drug task force. 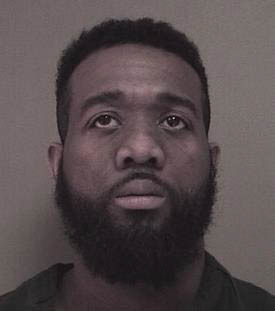 Among the 33 raids was one in Brick Township, which resulted in the arrest of Jihad Anderson, 38, of 45 Bretonian Drive. Anderson is charged with a number of drug and weapons offenses, detailed below. In all, 28 people face charges as a result of what was dubbed Operation Heading Back, named for the fact that authorities were able to keep moving northward from Ocean County to the source of the drug operation, Coronato said. Three of those charges remain fugitives. The operation brought down nine drug production centers. Officers’ lives were put on the line during the 33 raids across the state, where they entered homes and apartment units that contained pounds of substances and a cache of illegal weapons – all loaded – including an AK-47 assault rifle. Coronato said the network of drug dealers did not, necessarily, have a kingpin, but instead had a web of individual dealers who negotiated prices and shopped for the best bulk deals. Coronato credited U.S. Rep. Tom MacArthur and Sen. Cory Booker for their efforts in designating Ocean County a High Intensity Drug Trafficking Area, allowing for the use of federal resources and the coordination between more than a dozen law enforcement agencies in the operation. 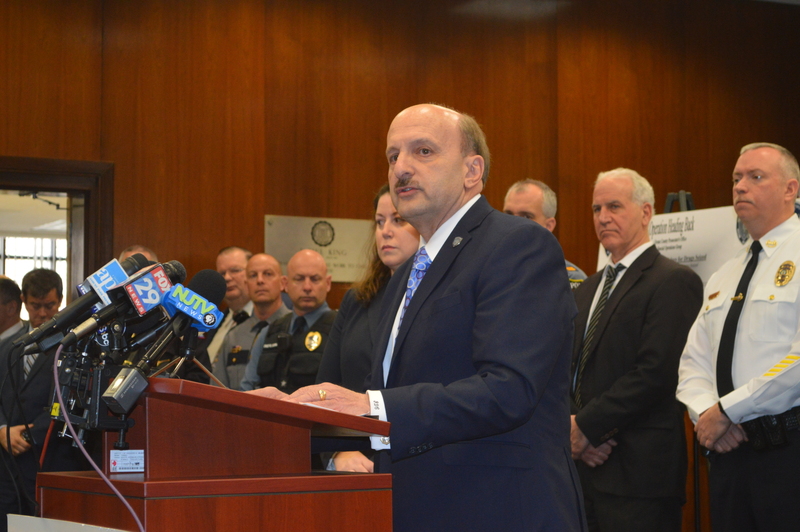 Coronato said the operation’s proceeds were the largest bust in the history of the county’s Special Operations Group, which investigates drug rings, and likely in the overall history of Ocean County.